CPES congratulates graduate Bin Li! 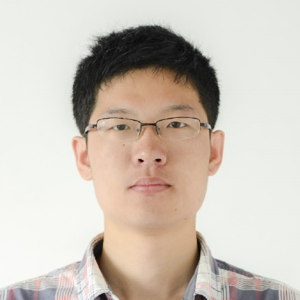 Bin Li completed his Ph.D. program in September 2018. His dissertation, "High Frequency Bi-directional DC/DC Converter with Integrated Magnetics for Battery Charger Application" and defense presentation are available online to CPES Principal Plus, Principal, and Associate members via password access. Bin received his bachelor's degree with honors from Xi'an Jiaotong University in 2010, and his master's degree from Zhejiang University in 2013, both in electrical engineering. He joined the Center for Power Electronics Systems at Virginia Tech as a graduate research assistant the same year. His research focused on high-frequency converter and magnetic design using wide bandgap devices for electric vehicle applications. While at CPES, Bin also served as the Video Nugget Session Chair during the 2017 CPES Conference, and as the General Chair during the 2018 CPES Conference. Upon graduation, Bin joined Navitas Semiconductor as a Staff Applications Engineer.